Turmeric has an earthy and slightly bitter flavor with a light peppery aroma. It is commonly used as a culinary spice in Southeast Asian dishes. 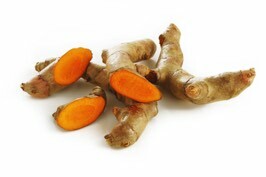 Turmeric contains beta-carotene, vitamin C, calcium, flavonoids, fiber, iron, niacin, potassium, zinc and other nutrients. The chemical in turmeric linked to its most highly touted health benefits is curcumin for its anti-inflammatory effects. Learn more about turmeric at WebMD. 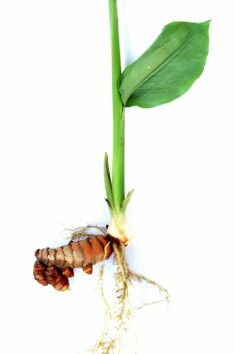 Turmeric is a perennial plant in the ginger family, it produces highly branched rhizomes that are a deep orange in color. Turmeric can be found in most curry powders. It sometimes goes by the name of Indian saffron but is not related to saffron at all. Turmeric enhances color and brings out the unique aroma and flavors in Angkor Cambodian Food's Lemongrass Paste.